Now there’s a blog title I can be proud of for a long time. In my ongoing battle against the pile of games labelled “Want To Play” play sat upon various shelves and inside hard drives, I wandered into the side-scolling Mexican playground that is Guacamelee! One of the many aspects of the game I enjoyed were the the power-ups (special wrestling moves) which can be used in combat and in the platforming sections. Early on in the game, you unlock the ‘Rooster Uppercut’, which allows your character to punch into the air, flaming fist first. Jump before using the attack, and Juan the Luchador will leap twice as high into the air, allowing you to reach higher platforms. Or groin-punch unsuspecting flying opponents. “That is an interesting way to bring the classic double-jump into the game”, I thought to myself. Sometime later, to my surprise, the game then handed me the officially titled ‘Double-Jump’. The classic kind too: leap once into the air from the ground, and then leap higher into the air from the… well, the air. Combined with what I thought was the games D.J. 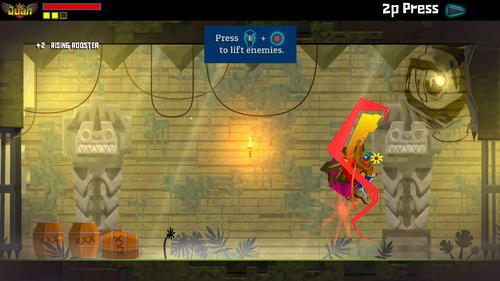 equivalent, Guacamelee! allows the player to perform the ever-elusive triple-jump! Now I could travel down the old ‘what’s up with double-jump?’ line of inquiry (if I can jump off nothing, why not just keep jumping? Etc), but I accepted this piece of gaming logic a long time ago, providing it’s done well. Instead, I’m wish to talk about some of my experiences with the double-jump, and then ask you to share yours. Kratos (God of War) – ‘I can’t be bothered’ style. I’ve no issue with the ash-covered King of Rage using a double-jump. 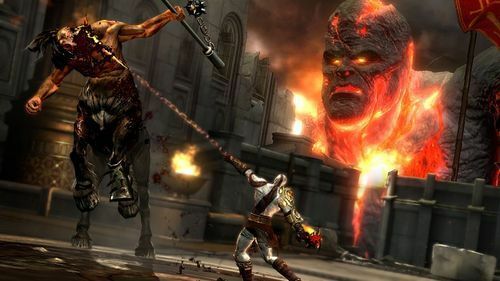 Kratos can move mountains, claw his way out of the afterlife and generally stab his way through the torso of any big baddy that he goes up against. Oh and he uses magic too. Performing a mid-air jump should be easy for him. So why, does his double-jump need to be… so half-hearted? One tap of the jump button and Kratos will begrudgingly perform a little bounce. Pretty standard. Press the button again when he is in midair and the God of War, with all his might, with all his power… does a little kick and shrugs his shoulders. This is a guy who can literally topple giant statues over by pushing them with his legs. Yet ask him to jump a little higher and his reaction is akin to teenager whose parents just told them to take out the bins. 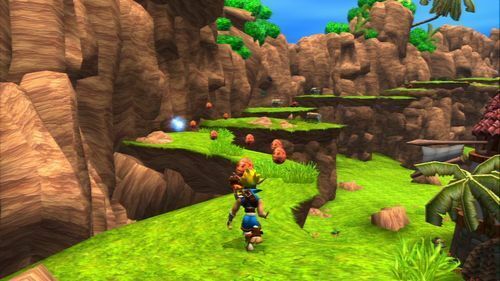 Jak (Jak and Daxter) – ‘I’ll double-jump however I want’ style. The Jak and Daxter Collection is also part of my pile of yet-to-play games (I have completed the first of the HD Trilogy). And isn’t Jak the show off? Not content with the regular “screw you” to physics, Jak wants to add a jump at the end of jungle roll too. If Jak can’t reach a nearby ledge with the usual double-jump, throw him into a dodge followed by the jump button. Jak will launch forward – into midair no less – and then dive forwards onto the next platform. Or he’ll roll off the other side, the little poser. 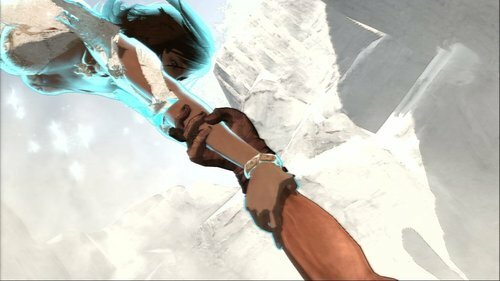 Prince & Elika (Prince of Persia, 2008) – ‘helping hand’ style. This Prince of Persia game did a lot of things differently, for better or worse. That’s another discussion for another time. One new addition was a double-jump which comes courtesy of Elika, your partner for the duration of the game. She’s a princess and she has powers, one of which is her ability to appear in the air above the Prince as he leaps into space, whereby she grabs his hand and flings him further forward. 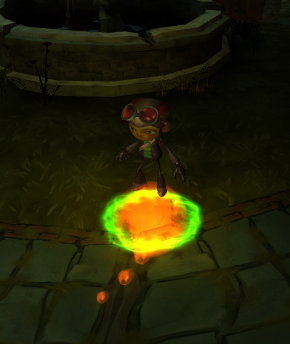 “We should justify the double-jump in Psychonauts”, exclaimed the game creators. And with that, the logical part of the game was complete, and the game creators began work on the Pyrokinetic Cougars. These are just a few examples of double-jumping in video games. Do you enjoy double-jumping? Which games do you think do it well? Do you think it makes games too easy? Or are you still confused that such a concept even exists? ← Weird Theory: Has Mario been lying to all of us?